Good fortune and peace are what the Chinese have given us, and you are bound to get plenty of both these things with the Dragon’s Dynasty slot game. This game will give you a chance to bask in the offerings of the far east and will also let you enjoy a good payout if you are lucky enough to trigger a win. 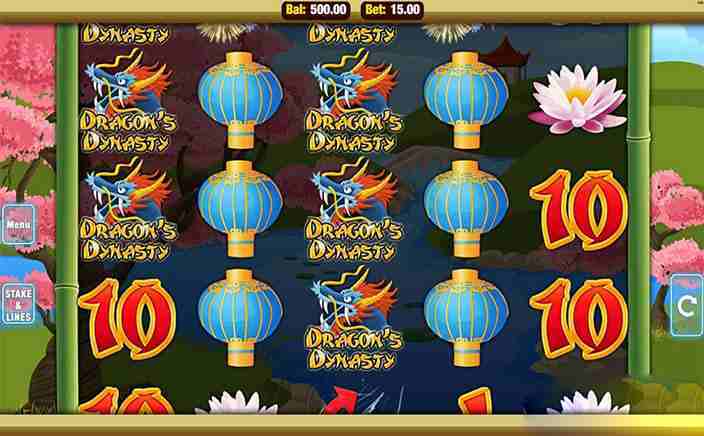 Dragon’s Dynasty is an offering from Nektan Gaming, which is an online casino company that is known more for its jackpots than its bonus features. Well hey, with huge payouts, you can’t complain can you? This game is great when played on your mobile device and we highly recommend you take in the mesmerizing sceneries provided in it by the developer. Dragon’s Dynasty gives you a chance to bask in the wonders of China, with giant pandas, lanterns and lotus flowers making up the reel symbols. The slot itself has 5 reels and 15 paylines across 3 rows set against a cherry tree field. The wagering begins when you choose your deposit through the Stakes and Lines button and then start your spin. The highest win that you can get in the game is through getting 5 matching symbols of the game logo, which offers a payout of 500x your wager. After this, you have five of the fan symbols that offers you 450x your wager, followed by five of the firework symbols that offer you 400x your wager, five of the lotus symbols that offer you 350x your wager and finally five of the lantern symbols that offer you 300x your wager. Wild Substitutions: The wild symbol is your bamboo chewing panda and you can use it to substitute for any other signs that you feel can be exchanged to make a complete payline. This will allow you to move further with your winnings! Free spins: Three spins symbols trigger the free spins round. 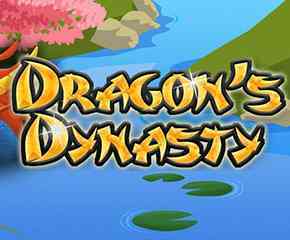 Dragon’s Dynasty lets you celebrate the Orient like never before. You can enjoy the sights and sounds of the far east as you try to roll in a good payout on your wager. With a Nektan Game, you have to stop looking for any cool bonus features and make do with the symbols on the reels so that you can hit the mega jackpot amount that is waiting for you at the end of the game. Try your luck and see if the dragon will be as generous with you as you are with it! All the best and may the good fortune of the east be with you!